Power couple Jay-Z, 45, and Beyoncé, 33, were spotted on Saturday while attending a Wes Lang art show in Los Angeles. 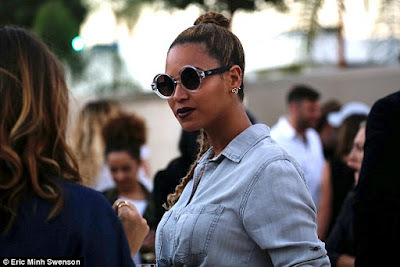 Beyoncé was joined at the event by her husband Jay-Z who is also a keen purveyor of great artistic works. 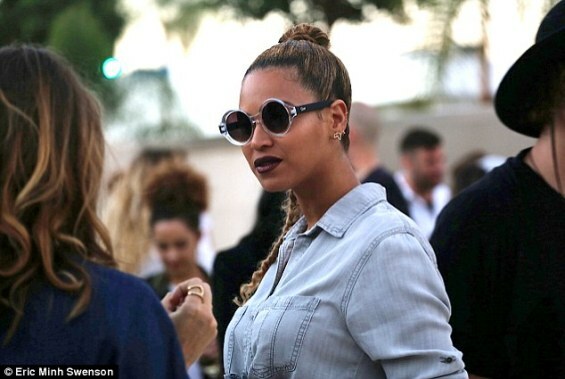 Queen Bey rocked a denim button-down and circular shades. 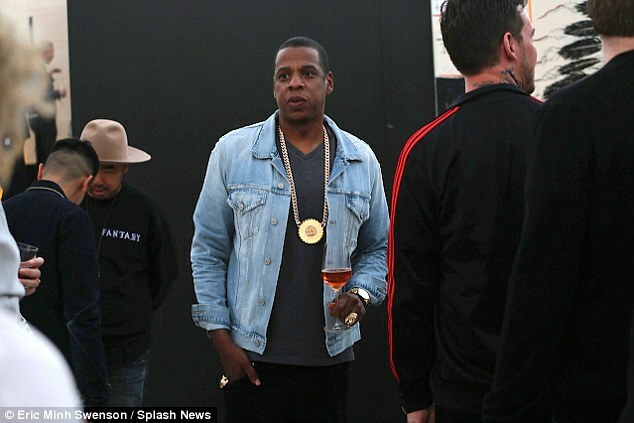 Her Husband Jay Z wore denim but rocked a large gold medallion as he sipped rosé. 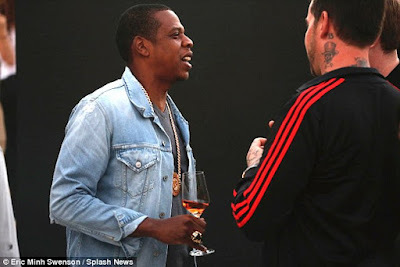 At one point, Jay-Z was seen comparing ring sizes with Wes Lang -one of the artist's works is seen in the background. 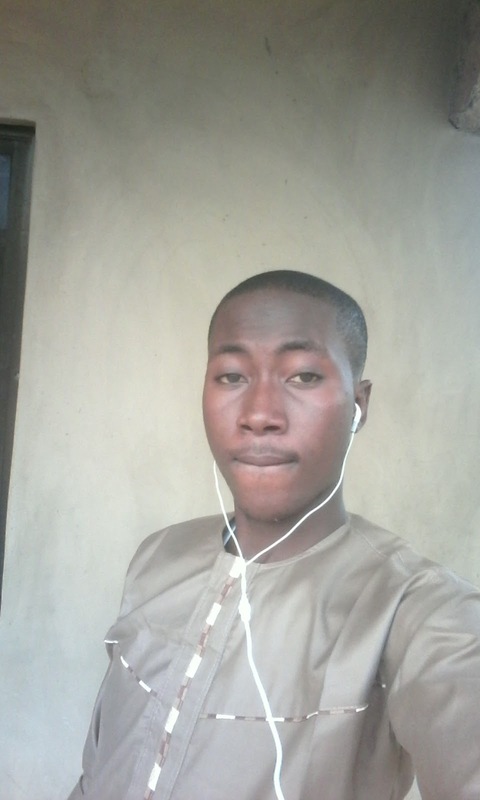 More photos after cut..